As night fell on Saturday, the Wheaton Twilight Invitational concluded, and the Maroons officially finished their last meet before the conference championship, which takes place later this week. The South Siders exhibited strong performances on both the men’s and women’s sides, finishing third and fifth, respectively. As expected, North Central—which placed first in its three previous meets—took first place on both sides. But, as has been the case all season, the real focus for Chicago centered on preparing for UAAs. Usually, head coach Chris Hall only takes South Siders who have a legitimate chance of scoring points at the conference meet. This means Maroons who are capable of finishing in the top eight at conference. Povitsky, who had a personal best in the 5,000-meter run, finished third at Wheaton with a time of 14:50.15 and currently ranks fifth in the conference. “I was very happy finishing third in the 5k. It was a 12–second best on my indoor performance and got me onto the all-time [Chicago Track and Field] honor roll for the event,” Povitsky added. Povitsky was one of many to accomplish personal bests this past weekend. Fourth-year Isaac Dalke won the 3,000-meter run in 8:34.39. Fourth-year All-American Billy Whitmore dominated the 5k, finishing first in 14:32.14. That time is currently the eighth–fastest Division III this year. First-year Cat Young placed second in the 3,000-meter run with her time of 10:05.98. 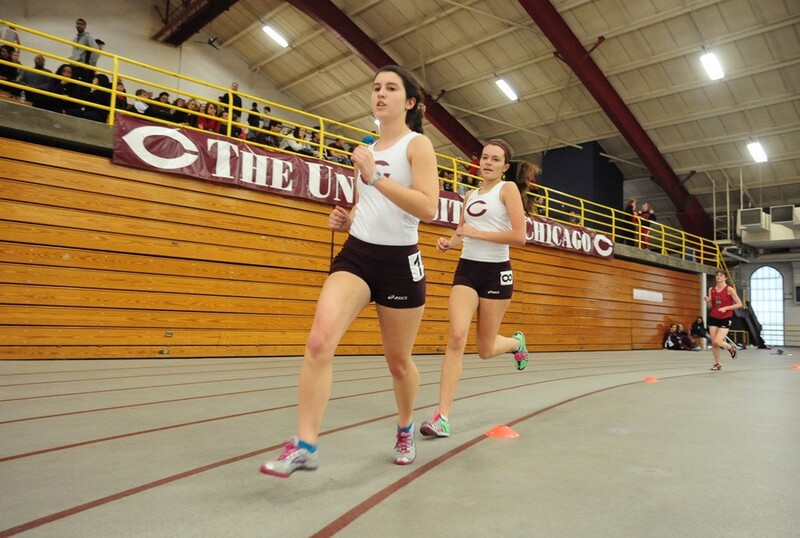 In addition to those listed above, several other Maroons claimed victories: fourth-years Dee Brizzolara (100-meter dash, 10.97) and Kayla McDonald (800-meter run, 2:17.05), first-year Michael Darmiento (110-meter hurdles, 15.39), and the men’s 4x100–meter relay team (42.61) all finished first. At this point, the Maroons’ preparation is completely mental. They cannot get faster, quicker, or develop better technique in the coming days. Hall will likely announce the travel list for the UAA Championship later today. Those who are selected will travel to New York at the end of the week to compete for a conference title.